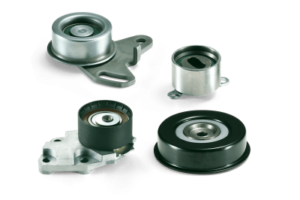 Parts maker GMB has made its timing belt tensioners and idler pulleys more accessible. The company has been selling tensioners to original equipment manufacturers since 2001, covering an estimated 90 per cent of vehicles in operation. Now it has added the tensioner and idler program to its e-catalogue to address the needs of jobbers, installers, DIYers and distributors, GMB has added the tensioner and idler program to their e-catalogue.